Admission is free to this mega pet event that will feature more than 40 shelter and rescue groups offering hundreds of adoptable pets. Attendees will also find a Pet Health Watch area, costume contest presented by Pet Krewe, raffle, Pet Marketplace, delicious local cuisine, and live entertainment. Attendees are encouraged to come dressed with their four-legged companions and register to compete in the Pet Costume Contest. Animal advocate Andrew Ward will emcee the contest while Angela Hill and other celebrity judges determine the winners. 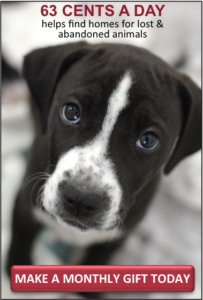 For animal lovers searching for new members to add to the family, hundreds of homeless animals will be searching for their forever homes. In addition, the Pet Marketplace will house vendors offering the latest in pet nutrition and pet supplies from dozens of local business. Over 21,000 people attended Pet Fest 2017 with over 100 pets finding new homes. 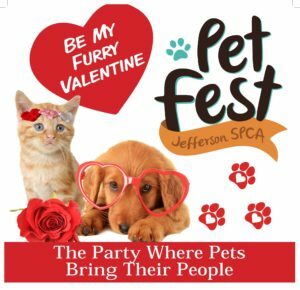 All proceeds raised from Pet Fest go to Jefferson SPCA to support and assist the Jefferson Parish Animal Shelter.